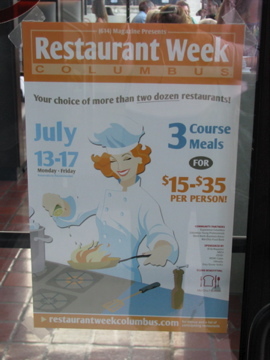 It seems that most cities these days have a restaurant week. Restaurant weeks are designed to get new customers into restaurants, and allow people to feel that they are getting good value, while boosting both revenue and exposure for the restaurants. You may recall that we had a restaurant week in March. You are correct, this is our second restaurant week in less than 6 months. 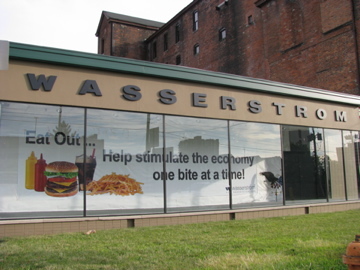 The first was a restaurant week for the Dine Originals restaurants, and the current one is presented by 614 magazine. It has been the subject of some controversy and I am sure, some confusion. Generally I find restaurant weeks disappointing, restaurants are too busy, the food is a watered down version of the regular offerings and it is overly reminiscent of eating out on Valentine’s day. That said, it can be a less expensive way to try a new restaurant and you can definitely find some good value meals. I recently had an excellent early-bird meal at Alana’s, and was tempted to try some more prix-fixe offerings, so the 614 restaurant week presented a timely opportunity. Last night I went to Rosendales Modern Bistro with a group of girlfriends for their restaurant week offering, a $25 menu of 3 courses with 3 choices for each. Although I have been to Details many times, I have never actually been to Rosendales before and was looking forward to trying it. Unfortunately, Rosendales confirmed many of my restaurant week prejudices. It was really busy (fully booked, I would guess), which is great for Rosendales but they were completely understaffed. I would be more sympathetic to this if we had not been told that they had been slammed the previous night as well (surely it is safe to assume that a Tuesday will be just as busy as Monday), but I am sure that most of the tables there, like us, had a reservation. Our server was waiting on 8 or 9 tables and although he did the very best he could, running around and working up a sweat in the process, there was no way he could keep up . The first course was a choice of Tuna Tar Tar Tacos (they are excellent and I have eaten them many times at Details), an endive salad (which was reportedly bland) and the potato poppers. The poppers were tasty (really how wrong can you go with a fried potato with cheese and bacon) but the potatoes were a little too firm and as one of our party observed, it really felt like something you would eat at TGI Fridays. 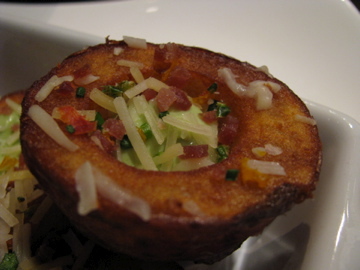 They needed a little more of both the sauce and the cheese and didn’t hit the mark for crave-ability. If you go, stick with the Tuna Tar Tar Tacos, they are crave worthy. The main course was were I really felt Rosendales fell down. Their bistro menu is designed such, that to make the prices seem more reasonable, all of the sides are listed separately. This works (albeit it is slightly annoying) when you are ordering a la carte but when you have a prix-fixe menu with no sides listed it does not work. The mains were roast chicken, braised lamb shank and tortilla crusted black grouper. The grouper came with a scattering of halved cherry tomatoes, but the other dishes were just meat. Generous quantities of meat, but nothing accompanying them. I certainly did not want (or need) to eat half a chicken, and I wish I could have had a 1/4 of a chicken with some vegetables. I ate one piece and took the rest home. The chicken was nothing special, certainly no where as good as Los Potosinos grilled chicken (either hot or cold the next day). 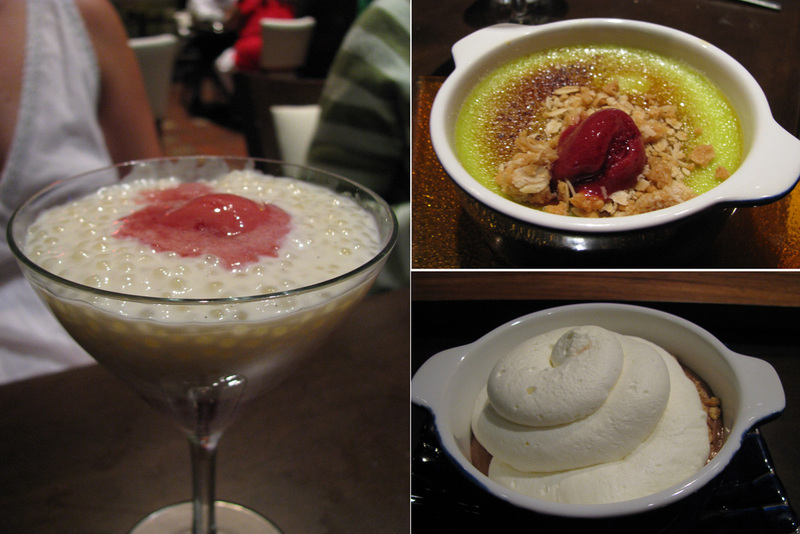 The desserts were tapioca pudding with raspberries, a chocolate and cream ‘s’mores’ creation and pistachio creme brulee with blueberry gelée. The latter was probably the most interesting although the color was a little off-putting to some. The highlight of the meal, except for the sterling company, was the wine recommended by sommelier Chris Dillman which at $33 a bottle both seemed good value and extremely drinkable. My other restaurant visit this week, was to a restaurant that is not participating in the 614 restaurant week but had a very similar deal. In the spirit of restaurant week I took advantage of G Michael’s Monday night prix-fixe $30 menu. 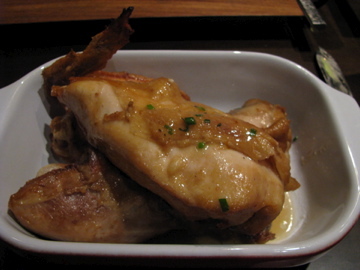 The menu format is the same, three courses with three options for each. The appetizers were a salad (blue cheese, poached pear and spiced pecans), gazpacho with more than a hint of habanero, topped with crab salad, and thirdly fried calamari. The calamari were excellent, great flavor and texture. I found the gazpacho refreshing but others deemed it to be overly spicy. The mains were a trout stuffed with spinach ( I forget the sides), a veal chop with jalapeno mashed sweet potatoes and green beans, and crab cakes with a sweet corn risotto, candied tomatoes and sauteed spinach. The crab cakes were good and I enjoyed both the risotto and candied tomatoes but in general my impression of the entrees at G Michael’s is that they try to put too many flavors on each plate. While I commend them on the seasonal and interesting menu, I prefer a simpler approach and to me most of the entrees seemed overly fussy. Every entree seemed to have a long list of the components and superfluous sauces. 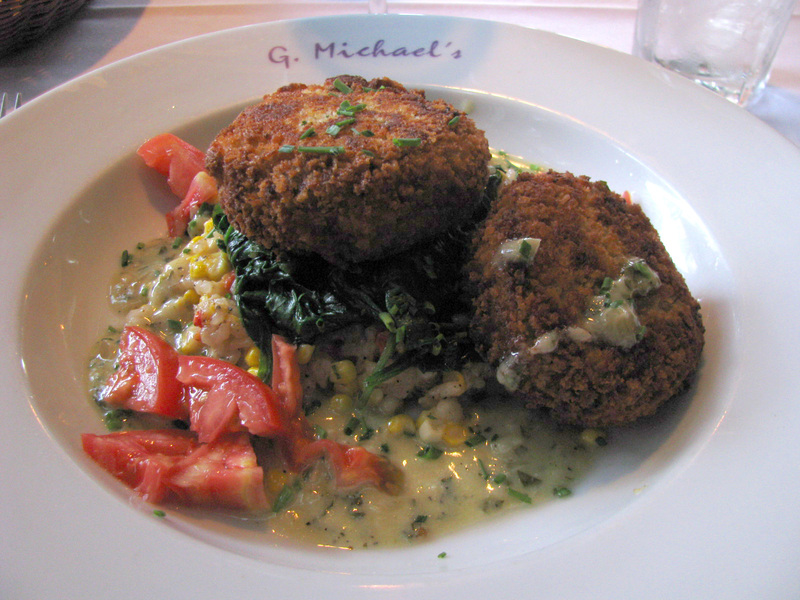 I chose the crab cakes in party because it was the only dish without a cream sauce but it was certainly rich as well. 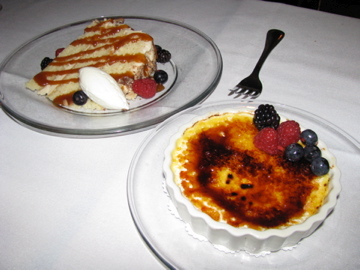 Dessert options were cake, Jeni’s ice cream or creme brulee. The brulee was over done (my neighbor’s was worse), I think because the sugar was too thick. There was a layer of sugar granules underneath the brulee and the creme was not nearly as creamy as the version I had at Alana’s. The cake had a delicious burnt butter filling that tasted like fudge, but the overall dish was overly sweet and even with 3 of us pitching in we could only finish about half of it before we felt that emergency dental work might be in order. The food at G Michael’s was definitely of a higher standard than we experienced at Rosendales (but $5 more for the set menu). The service was also much more attentive, but the wine list had far fewer reasonably priced options. We ordered a $27 Malbec and did not enjoy it. My advice would be to skip restaurant week and if you want a a prix-fixe menu go to the Refectory (Monday-Thursday or 5-6 Friday and Saturday), G Michael’s on a Monday or Alana’s if you can go early for the early bird special. 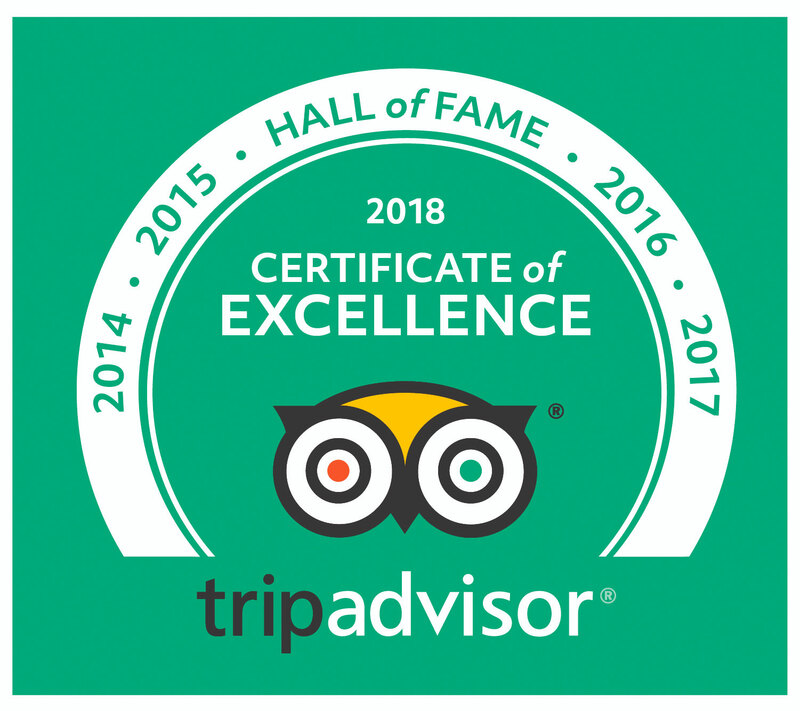 It should be noted that all of the prix fixe menus do not include tax, drinks or service, so it is likely that you will end up spending quite a bit more than the advertised price. 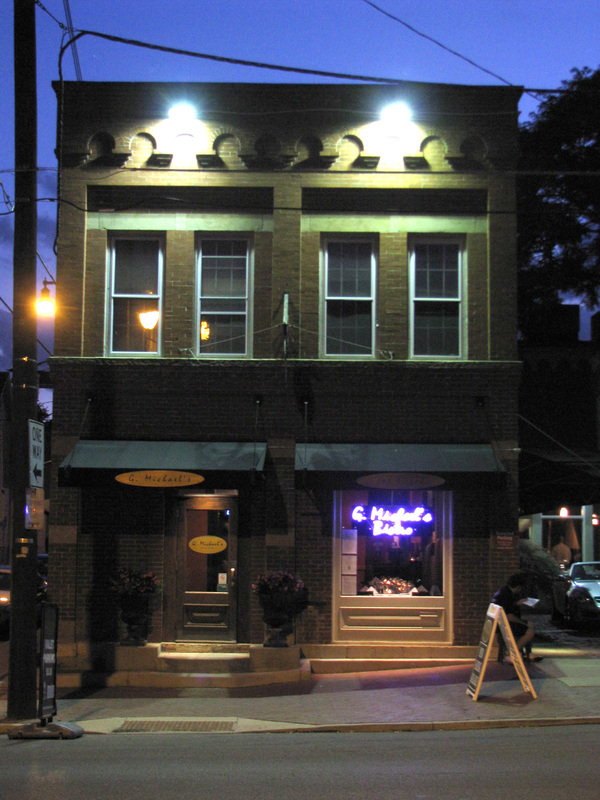 Went to Rosendale’s on Friday night – your review was dead on. I was really dissapointed. Should have saved the $ for a trip to Alana’s!!! 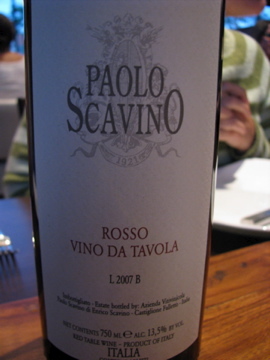 I was excited to find the Paolo Scavino Vino da Tavola at House Wine in Worthington today. It is $15.99 retail.